Due to unforeseen circumstances, Bilal Zafar has had to cancel his show at Warwick Arts Centre on Sun 7 May 2017. 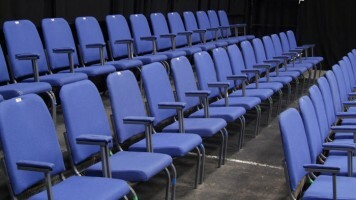 Our Box Office will endeavour to be in touch today, via telephone or email, with every customer to discuss options. 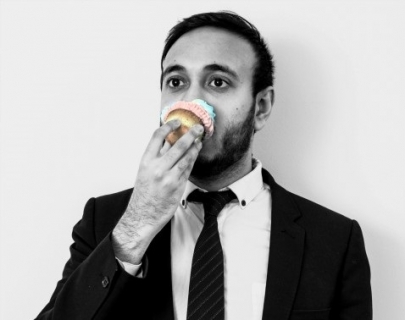 Edinburgh Comedy Award nominee 2016 and New Act of the Year award winner Bilal Zafar brings us his highly anticipated debut show Cakes. Join Bilal as he takes you on a fascinating and hilarious journey of how his Twitter handle, @zafarcakes, became a focal point for the misguided rage of the global far right when it was mistaken for the account of a Muslim-only bakery. Having provoked the outrage of such defenders of Britishness as Katie Hopkins, EDL supporters and the Daily Star, Cakes shows how Bilal used humour to respond to the prejudice and abuse increasingly faced by British Muslims today. Bilal joined the company of previous winners such as Joe Wilkinson, Ardal O’Hanlon, Stewart Lee and Linda Smith when he came top of the bill at this year’s New Act of the Year Awards at the Bloomsbury Theatre. In 2015 he was the runner up at the Leicester Square Theatre New Comedian of the Year competition, and has previously written about his faith for The Independent.